You've been following me in my crafty journey for the past few years and certainly have noticed I am always trying something new, something different, something fun. Quilting has taken a life of its own in my studio, yet the couple of hours between dinner and when I retire to bed are dedicated to reading and hand work - calming pastimes still filled with learning when I am reading books about embroidery, crochet, or knitting! 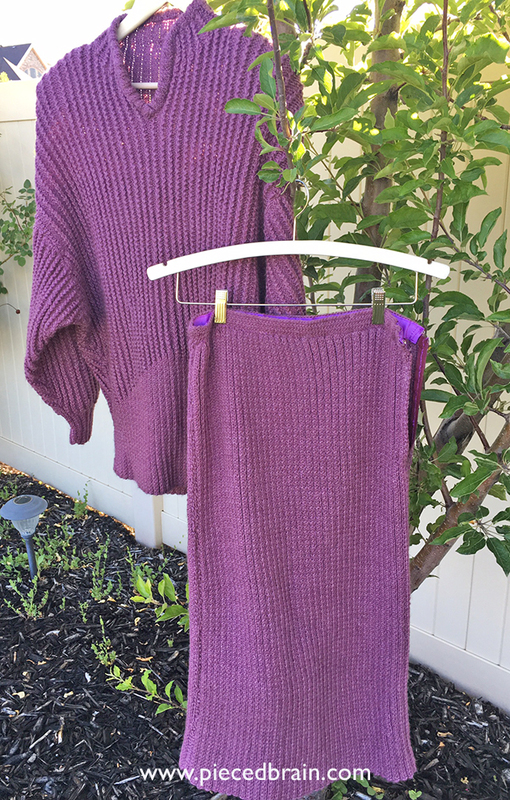 I don't remember when I took up knitting but my first big project was a purple sweater/skirt set I knitted in Brazil from a pattern in a Vogue magazine (above). The original pattern was dark green and beautiful, but I went with the purple and loved it. The over sized sweater even has shoulder pads. I still have the magazine but won't give you the date; otherwise, you will think I am turning 54 in a couple of weeks!). I followed the pattern and hand stitched the skirt's waist band and zipper. This ensemble is super warm, better suited to the winters in the US, although not having heaters in houses and cars in Brazil explains why I chose to make it. This does not mean I am a pro-knitter. I grew up thinking I could learn anything I tried, and so it goes. Like anything in life, sometimes we stop doing things, pick up others, then go back to those we left behind. 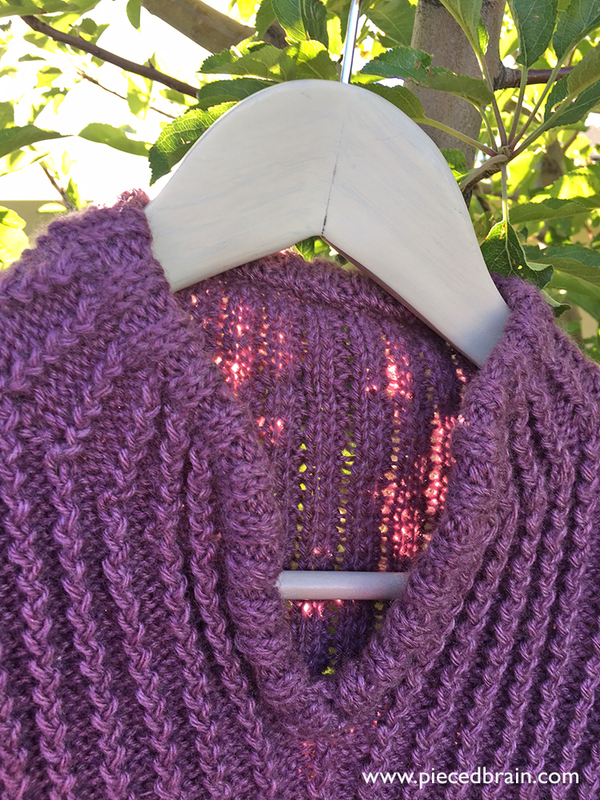 When I returned to knitting I wanted to knit socks two at a time with a circular needle. I learned it and made six pairs - none for me. The seventh pair is stopped at the heels. I began it right before I decided to get my Master's degree and had to put it aside. Now, for the life of me, I can't finish it even with the instructions (old age creeping in?). I will call my Master Knitter friend and will complete that pair in a jiffy. I am dazzled by Jen Lucas' designs! 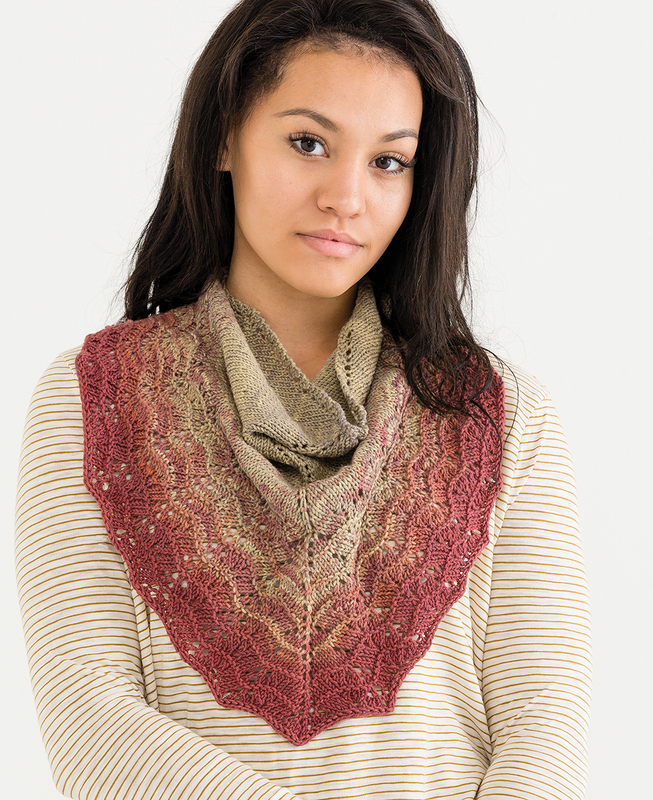 Stunning Stitches - 21 Shawls, Scarves and Cowls You'll Love to Knit, published by Martingale, has beautiful projects for beginners and seasoned knitters alike. The lacy shawl on the cover - called Glarus - is at the top of my 'to knit' list because of its delicate look, open stitches, and versatility: you can complement an evening outfit or dress up any clothes with it. 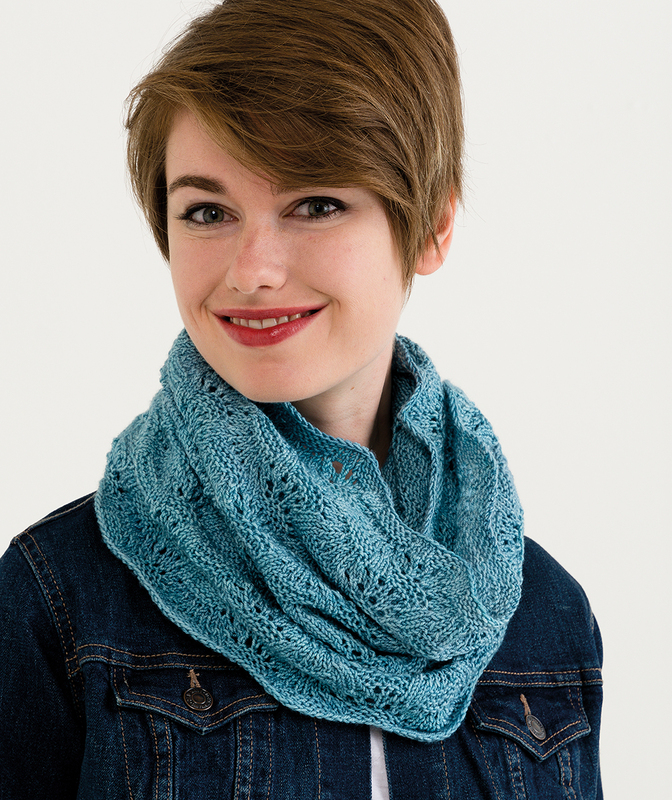 The book presents seven sets of projects, each set with three different neck wear options and skill levels. 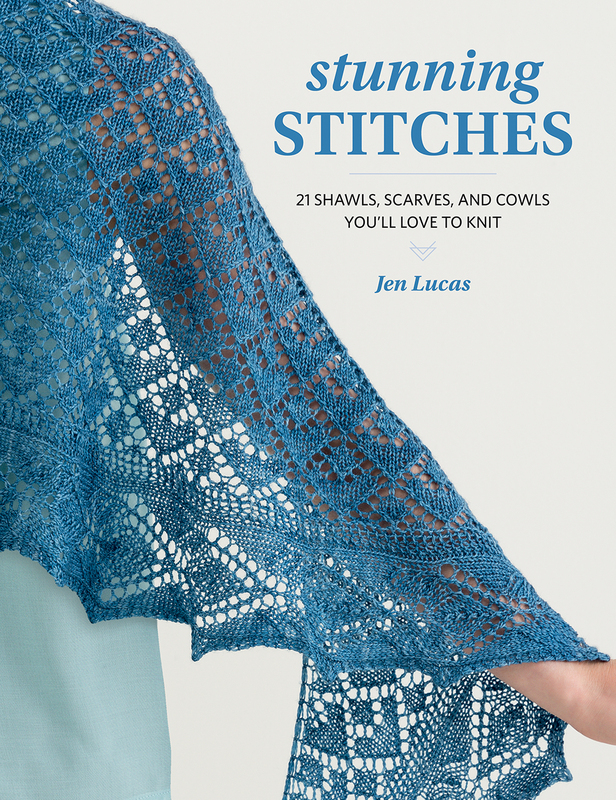 Jen challenged herself to repeat some stitches in each set with worthwhile results. I love the pattern notes for they give an overall idea about the project or stitches used. It is also great to know which yarn was used in each project as sometimes I want to get the exact look as in the sample. The "Make it your own" call out boxes help us customize sizes to fit our needs. There is a section with Special Techniques for those of us who can use the extra help, as well as abbreviations and resources. 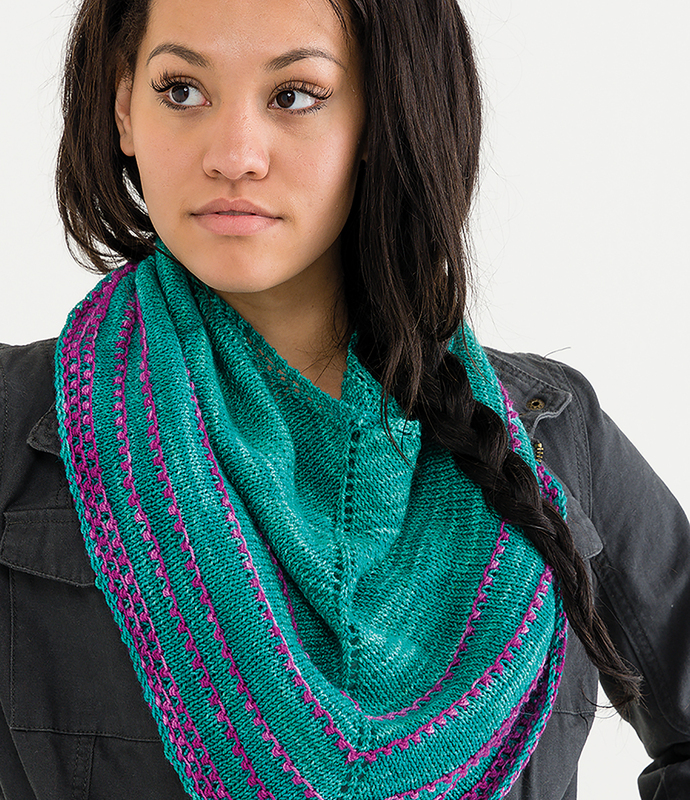 Violetetear Infinity Scarf, page 73. The Pomelo Cowlette above is so striking, isn't it? Jen Lucas never ceases to surprise with her amazing patterns. 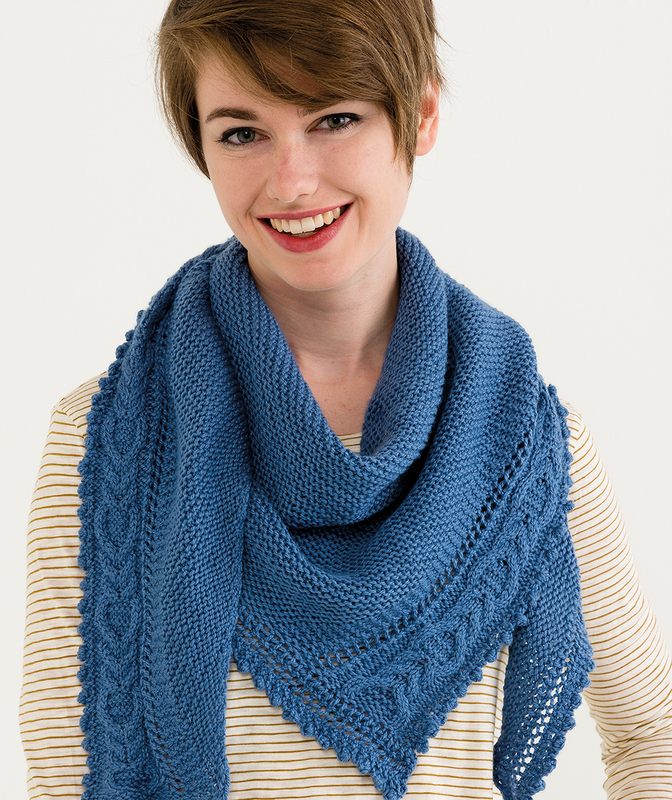 Whether you have been one of your fans or have just discovered her (Jen has patterns available on Ravelry, too), Stunning Stitches will be a perfect addition to your knitting bookshelf. It is time to return to quilting, though my knitting needles are already next to the recliner in the family room. Looking forward to starting a project this weekend! 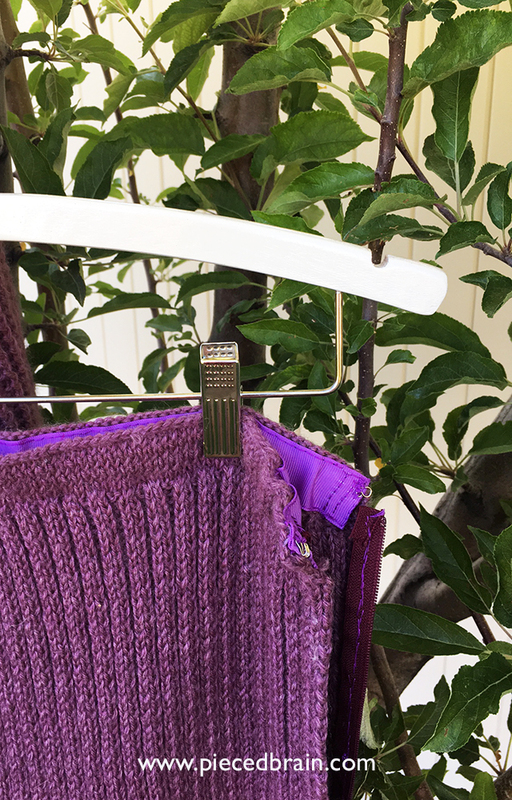 Your knitted purple two piece is great, such a lot of knitting to make these two. Did you have to line the skirt to stop it stretching?